CallClerk - it's easy to use program that lets you see who is calling on the phone in different ways. When the call comes, the program will immediately notify you a letter with an attached message or fax. CallClerk can also update a web page, giving you access to your directory, calls, messages and faxes from any location. 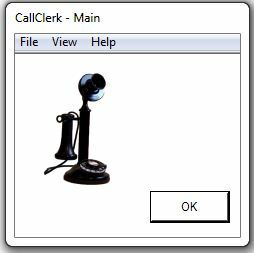 If you use MS Outlook, CallClerk can give the caller a card in a popup window. CallClerk can help display your calls, showing information about the caller's name and a specific type of call. It can automatically terminate unwanted calls. CallClerk can additionally record telephone calls. There are many characteristics of quick dialing, call the number to the clipboard and dialing from Internet Explorer and Firefox. If you have a home network or small business, CallClerk can report calls to all PCs on your network.